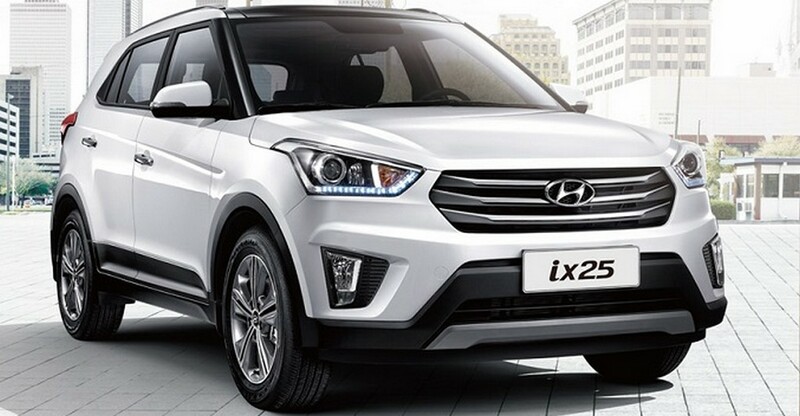 The launch of Hyundai ix25 is going to happen late in 2015, around Diwali. After its introduction in the world market in the car fair in China, it is expected to gain a steady market in India. The SUV comes with a fluidic sculpture 2.0 design from Hyundai. With slim dimensions and three variations in the engine choice, this is Hyundai attempting to capture the SUV market. It has the facility of both petrol and diesel engines, although the basic model should accommodate diesel engine of 1.6 litre capacity. The transmission gets an upgrade from five-speed to six-speed transmission. While there are plenty of similarities with other models of Hyundai like i20, there are certain design improvements too. The ix25 may not be released in the same name in India. The model also shares specifications with Verna Sedan, which is another beautiful car. The exterior and interior are impeccably designed. The Indian model should arrive in black and beige. With niche features like automatic climate control, touchscreen audio, the car is sure to impress a lot of people. Both manual and automatic transmission options are available. The car’s dimension is perfect for a new car as aerodynamics is a great way to rid of the extra weight. The all new projector headlamps with implement LED lighting and the seating become more flexible. A fantastic innovation would be audio controls mounted on steering. It reduces the driver’s attention span on less important matters while driving. Also, the infotainment option is also present with futuristic telephony options. Engine has now an automatic start and stop system to help things run smoothly. Also, the aircons are automated too. Also, there are DRLs in the technology specification o the car. So, efficient on power but high on performance, surely this is the car everyone is waiting.